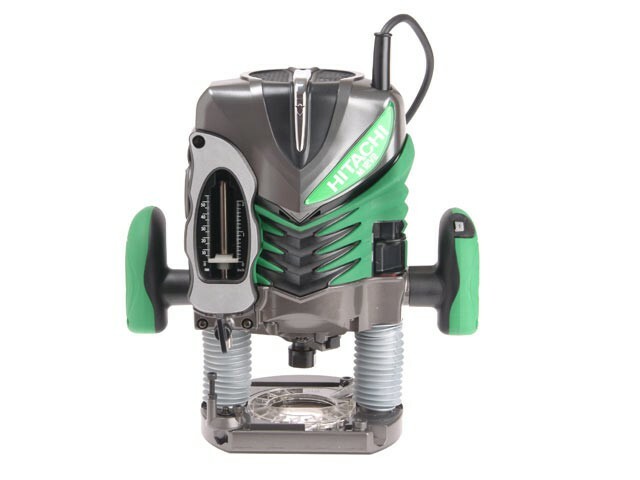 This powerful 1/2in router has a revolutionary fan design which offers increased cutting efficiency to rout smoothly through hardwoods. It has a variable speed motor with constant speed control, with the variable speed dial in a convenient place on the side handle. The fine height adjuster allows for easy adjustment when used with a bench stand and the new fast and accurate depth adjustment mechanism has both metric and imperial scales. Ergonomic design with soft grip handles. Improved collet chuck ensures bits are held securely. No Load Speed: Variable 8,000-22,000/min.